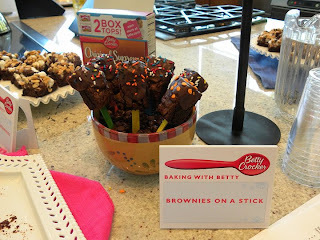 These Brownies On A Stick from my BakingWithBetty trip are a perfect addition to any party. They are a ton of fun for kids to make and will make your party table look beautiful. I love when party food does double duty as food and decoration. It saves time and money! Heat oven to 350°F. (325°F for dark or nonstick pan). Line 8-inch or 9-inch square pan with foil so foil extends about 2 inches over sides of pan. Spray foil with cooking spray. Make brownies as directed on box. Cool completely, about 1 hour. Place brownies in freezer for 30 minutes. 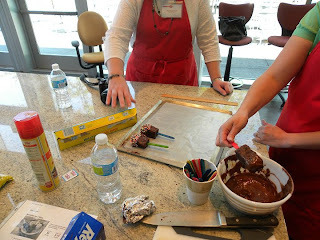 Remove brownies from pan by lifting foil; peel foil from sides of brownies. Cut brownies into 16 bars, 4 rows by 4 rows. Gently insert craft stick into end of each bar, peeling foil from bars. Place on cookie sheet; freeze 30 minutes. 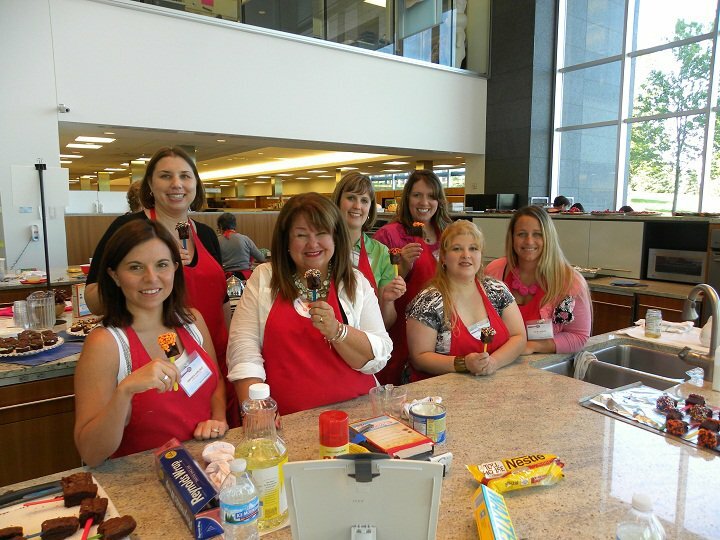 This photo is of the group of ladies that I worked with when going around to all of the stations. 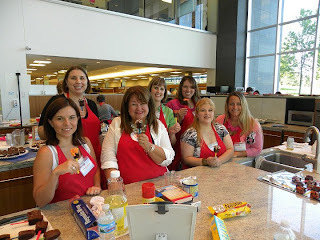 They wanted a photo of us all holding our Brownie Pops.